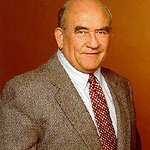 Ed Asner is a legendary actor and former president of the Screen Actors Guild. 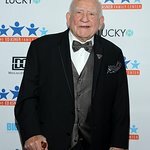 Asner is well known for his charity work – he is an advisor to the Rosenberg Fund for Children, which provides benefits for the children of political activists, and is a member of the Honorary Board of Directors for the homeless respite service center Fresh Start WC in Walnut Creek, CA. He is also a board member for the wildlife conservation organization Defenders of Wildlife, and supports the work of Heifer International. Google trends for "Ed Asner"